What it is: Snapchat has launched an augmented reality art platform that enables users to view virtual art installations in real-life outdoor settings around the world. Starting with five of Jeff Koons’ most iconic sculptures pinned to 10 global locations, Snapchat is soliciting sign-ups from artists who want to feature their work on the platform. Interestingly, two days after launching the platform, a graffiti artist protested by uploading a tagged version of a Koons sculpture to the same spot in Central Park as the Snapchat Art exhibit. 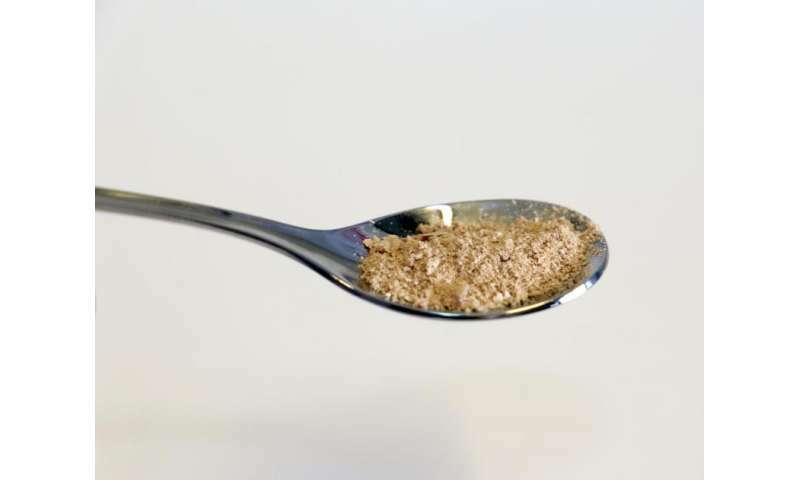 What it is: In a project called Food From Electricity, a research team in Finland has successfully produced a batch of nutritious, single-cell proteins — and the system they created is solely powered by renewable energy. As Futurism reports, the process simply requires “electricity, water, carbon dioxide and microbes,” which makes the system deployable in deserts and other environments lacking the conditions for traditional agriculture (e.g. soil, humidity, temperature). What it is: Startup SynTouch, a spinout from USC, is quantifying the subjective sense of touch. By embedding 19 highly sensitive electrodes behind a dome-shaped silicon "fingertip" filled with saline, the finger measures the change in resistance due to external factors such as pressure. In all, SynTech is able to quantify touch along 15 different dimensions with surprising nuance, such as the difference in coarseness of a suit jacket or a perceived temperature difference between carpet and a tile floor. Not only does this push robotics closer to nuanced interactions with humans and the environment, but as SynTouch's CEO notes, it also has immediate impact in areas like textile quality control and cost versus design choices. What it is: A research team led by Columbia University's Creative Machines Lab has created a breakthrough in the field of soft robotics, devising a silicon-based material that functions as an artificial muscle. With a current applied via an electrode, the material can push, pull, lift and twist much like a real muscle, and at strengths exceeding 1,000x its own weight without assistance from an external voltage. As the researchers note, this fills a large gap in current "hard" robotics, which are rigid and struggle with complex tasks such as interacting with living organisms. What it is: Partnering with the UK-based Object Tech Corp, Dubai Economy subsidiary Emcredit recently announced plans to introduce emCash, a digital currency based on the blockchain. Building on Emcredit's existing NFC contactless payments technology, this is a natural move for Dubai, adding security to contactless transactions and eliminating the complexity of bitcoin intermediaries created at the point of sale. At Abundance 360, Peter's 300-person executive mastermind, we teach the metatrends, implications and unfair advantages for entrepreneurs enabled by breakthroughs like those featured above. We're looking for CEOs and entrepreneurs who want to change the world. The program is highly selective. If you'd like to be considered, apply here.